At Club Hotel La Vela, enjoy a satisfying meal at the restaurant. Wrap up your day with a drink at the bar/lounge. A complimentary buffet breakfast is served daily from 7 AM to 10 AM. Take advantage of recreation opportunities including an outdoor pool and bicycles to rent. Additional amenities at this hotel include complimentary wireless Internet access, a television in a common area, and tour/ticket assistance. Take advantage of recreational opportunities offered, including an indoor pool, a fitness center, and a seasonal outdoor pool. This hotel also features complimentary wireless Internet access, tour/ticket assistance, and a reception hall. Wrap up your day with a drink at the bar/lounge. A complimentary buffet breakfast is served daily from 7:30 AM to 9:30 AM. Make yourself at home in one of the 37 air-conditioned rooms featuring minibars. Your memory foam bed comes with Egyptian cotton sheets. Complimentary wireless Internet access keeps you connected, and satellite programming is available for your entertainment. Private bathrooms with showers feature complimentary toiletries and bidets. Make yourself at home in one of the 35 air-conditioned rooms featuring minibars and LCD televisions. Complimentary wireless Internet access keeps you connected, and satellite programming is available for your entertainment. Private bathrooms with showers feature complimentary toiletries and bidets. Conveniences include phones, as well as safes and desks. Dip into one of the 2 outdoor swimming pools or enjoy other recreational amenities including a sauna and a fitness center. This hotel also features complimentary wireless Internet access and a television in a common area. Getting to the surf and sand is a breeze with the complimentary beach shuttle. 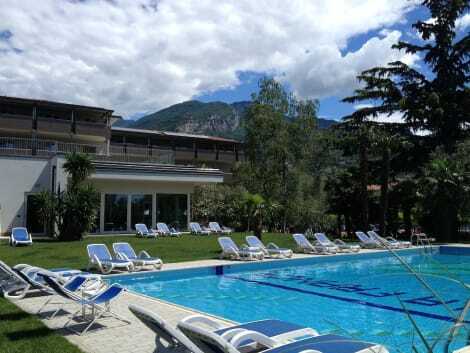 lastminute.com has a fantastic range of hotels in Torbole Sul Garda, with everything from cheap hotels to luxurious five star accommodation available. 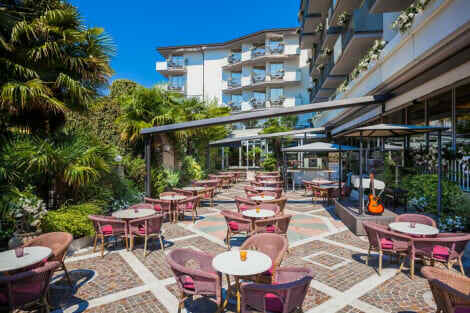 We like to live up to our last minute name so remember you can book any one of our excellent Torbole Sul Garda hotels up until midnight and stay the same night.